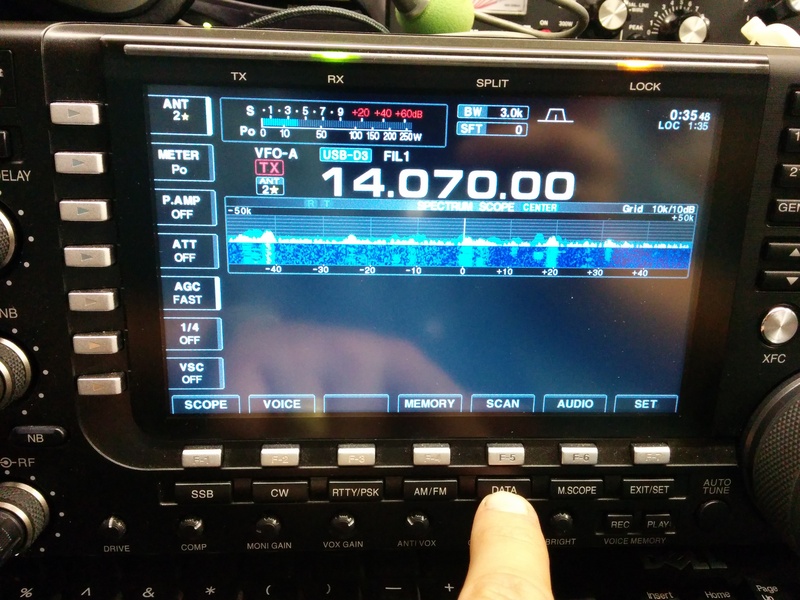 Just some very loose notes about using various digital modes via the Icom RS-BA1 remote control software to a remote Icom IC7700 (ver2) via LAN. 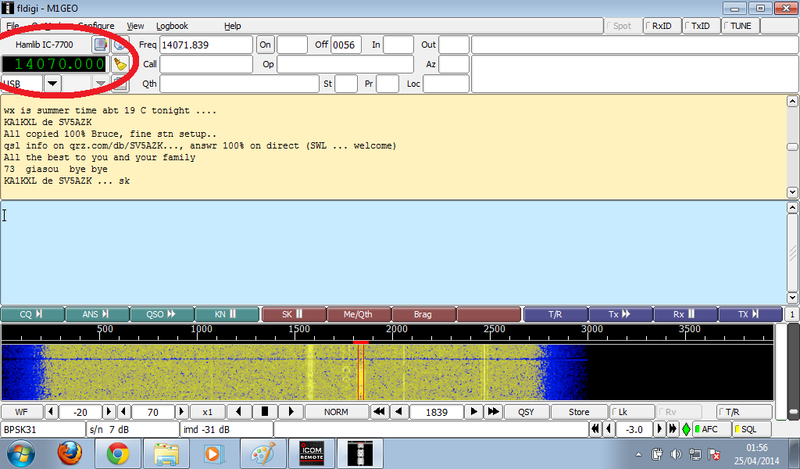 To start with, I am using Icom RS-BA1 version 1.60 and Fldigi 3.21.81. 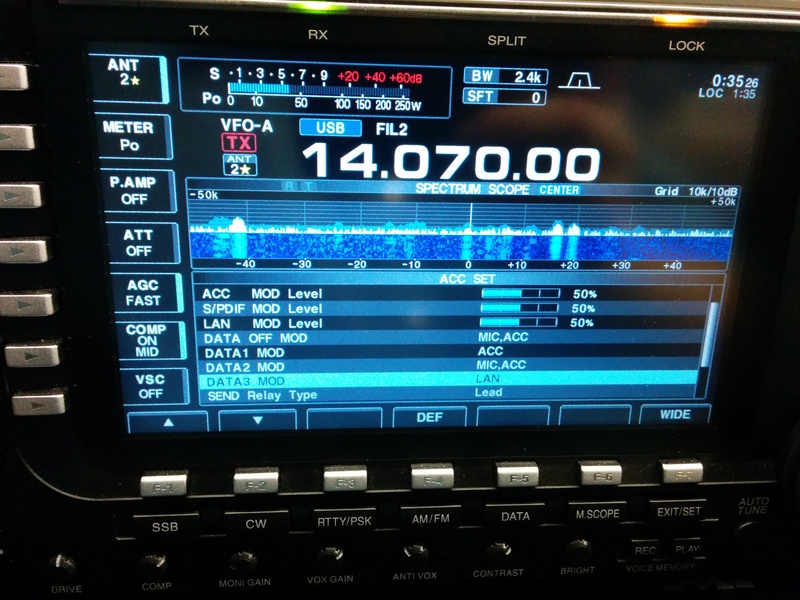 I guess you could use Ham Radio Deluxe or any other mode that supports CAT/CI-V control of the radio (especially PTT), but I use Fldigi and a few of Joe Taylor programs (WSPR, WSJT, etc) since they continue to support newer radios for free. 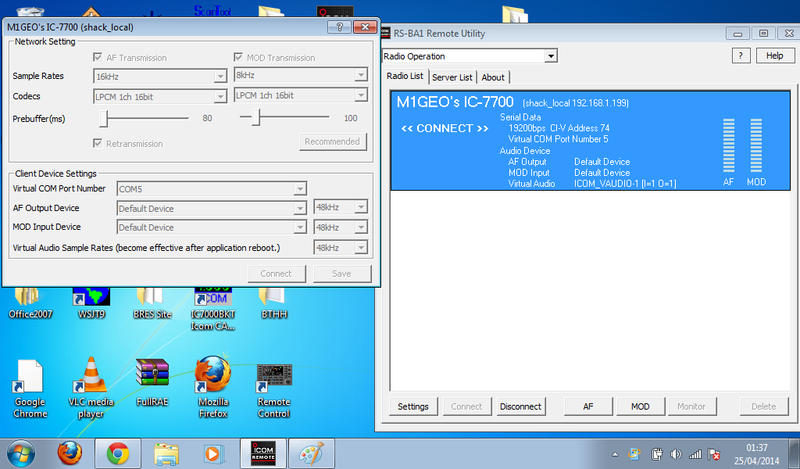 I configure the Icom RS-BA1 in the usual way. See my Youtube video for some more information on that. Remember the com port you assign at the virtual port stage, since you will need this to interface with Fldigi. You can ignore the bit at the end of the video where I am trying to get Fldigi working there. 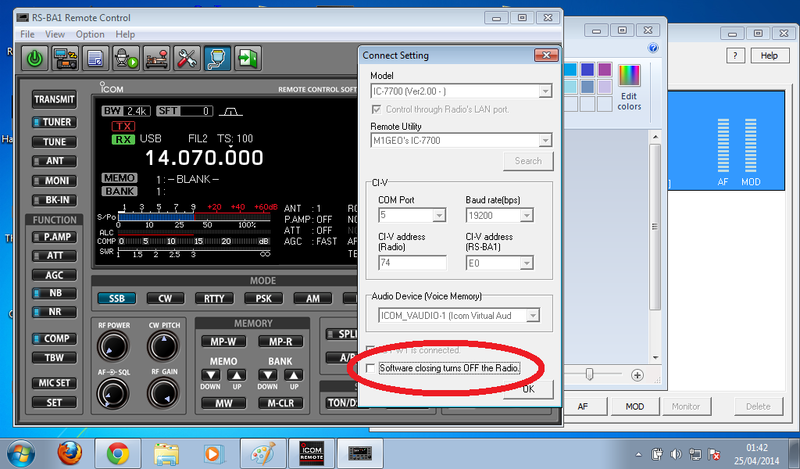 Here my settings are shown from the Icom Remote Utility screen. The virtual CI-V com port is set here to COM5. You can use any port, you just need to substitute it throughout. Once this is done, you can fire up Fldigi 3.21.81 and proceed to the Soundcard setup. 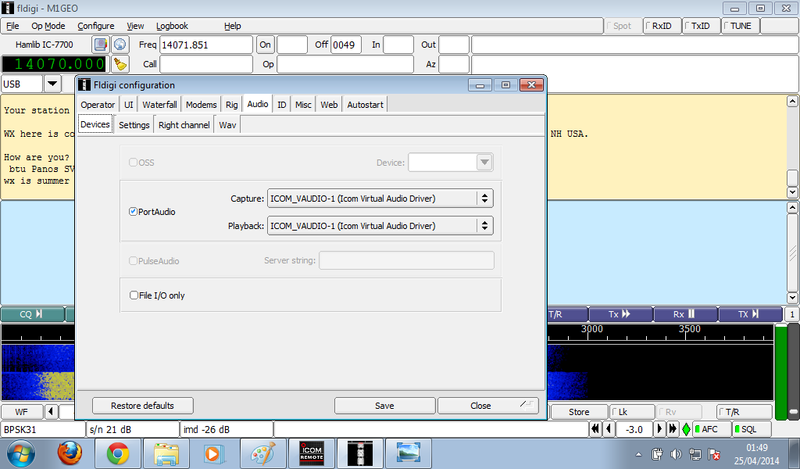 You may either select the Icom Virtual Audio device directly (as I have) or via the Microsoft Sound Mixer. Via the soundmixer affords you some more control over levels, but on my slow netbook uses unnecessary CPU resources. The next thing is to convince the Remote Utility to send the audio from the software and not the microphone. 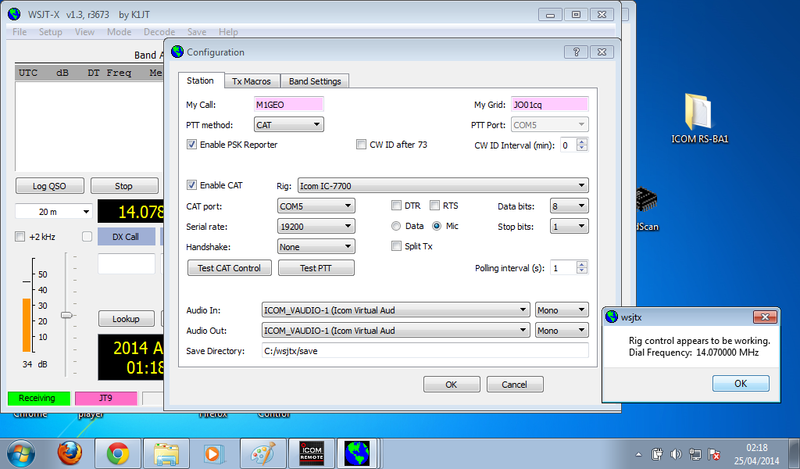 This is done by clicking the MOD button from the Radio Operation > Radio List screen and selecting V Audio (instead of Mic). 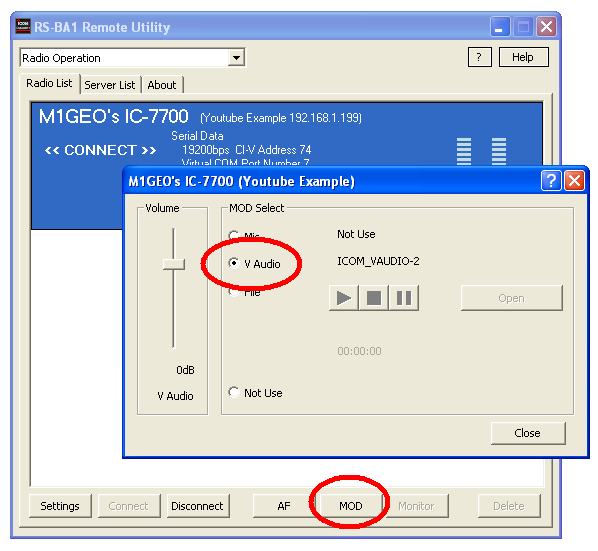 Selecting V AUDIO as above ensures that the audio gets to the radio, but, you need to tell the IC7700 to select the LAN audio as opposed to any other source. 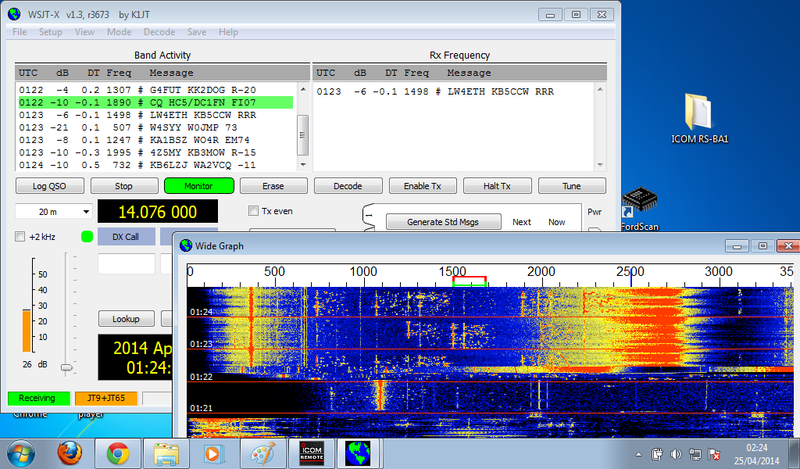 Go into the IC7700 Menu > ACC and find “DATA3 MOD”. Change the option to LAN. This says that The DATA3 mode should take audio from the LAN, which we have just specified takes audio from the V AUDIO interface in windows. Yay! Next you need to select the DATA3 mode. 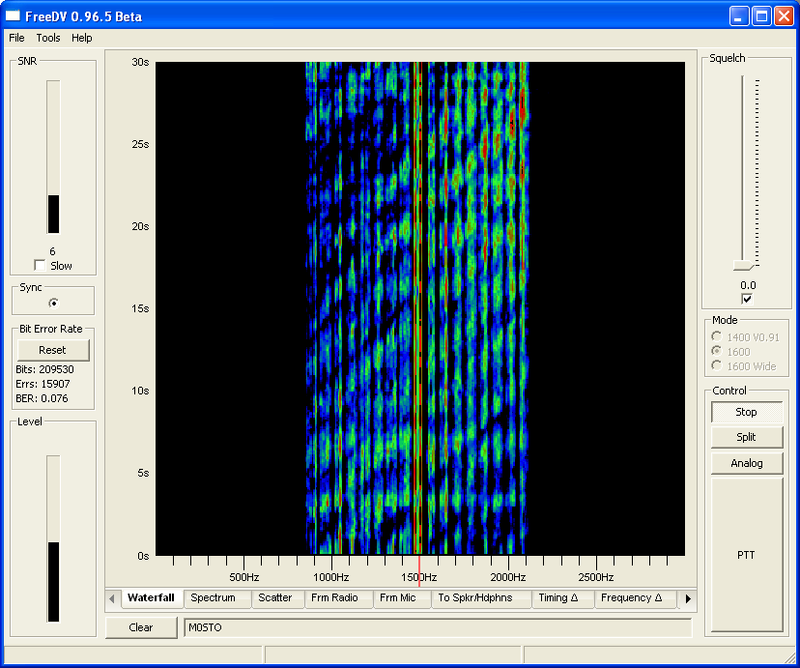 This is done by selecting your preferred modulation technique (typically upper side band, USB) and then pressing the DATA button. Pressing momentarily enables/disables DATA. Long pressing cycles the DATA. For PSK31, USB-D3 is selected. The final step is to use the MOD > V AUDIO slider to set the drive level so that the ALC is good when transmitting, so as not to over-drive the transmitter. You will also want to increase the DATA setting’s filter bandwidth. I copied the settings from standard voice SSB filters. 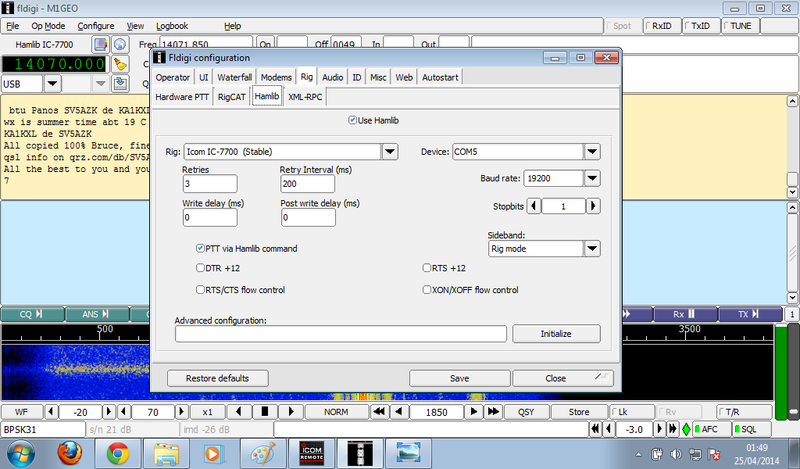 The next step is to configure Fldigi to interface to the IC7700 via the networked CI-V interface. Again in Fldigi, navigate to the Rig Control setup. Here, you need to select Hamlib as the preferred option. Other interfaces such as RigCAT may work, but I have no experience with them. 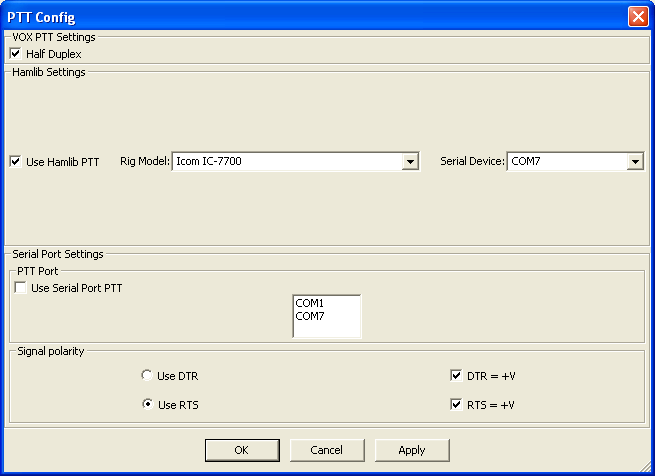 Select the com port you setup in the Icom Remote Utility (here, COM5). You may be able to select it, or you may have to type it in (as I had to). 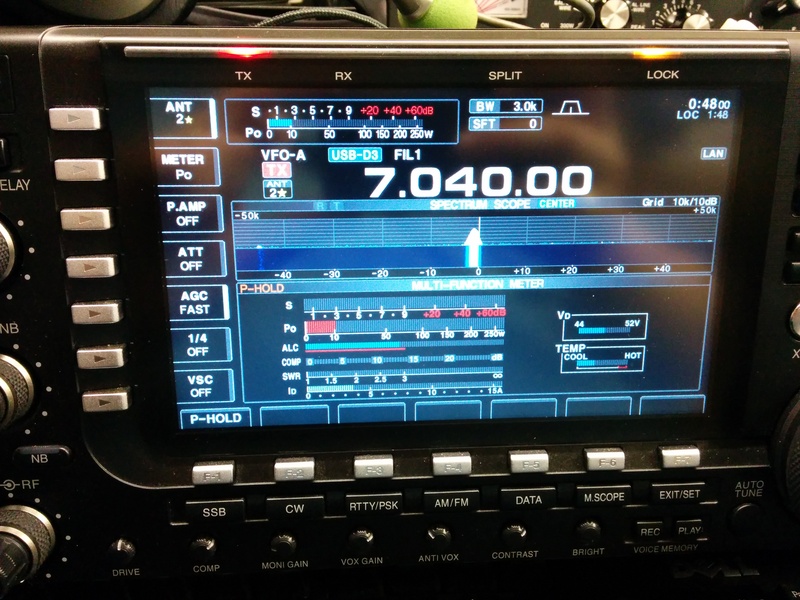 Select the Icom IC7700. The highest com speed of 19200 provides for best results with 1 stop-bit. You will need to enable PTT via Hamlib Command. At this point, hopefully, you will see that Fldigi reads the radio frequency, and the radio responds properly to changes in frequency and mode. You just need to set the levels for transmit and receive as you would with any other transceiver interface. I advise you setting all of the filters and power level in the Remote Control program first, and then changing to Fldigi afterwards, since you cannot run both softwares at the same time.